So short was the squadron’s existence the 619 Squadron crest was never formally allocated; although it is proudly worn by all of the Association members. The 619 Squadron Association was formed in 1947 and is believed to be the only Squadron Association to have held an annual reunion every year since its formation. In recent years this has been held at the Petwood Hotel at Woodhall Spa, Lincs, which was briefly the squadron’s Officers Mess. Annually an Association Lunch is held at the RAF Club in London. The Association has strong connections to the William Farr Church of England Comprehensive School at Welton near Lincoln, which houses a memorial to RAF Dunholme Lodge in the Lawres Room. This is a permanent memorial to the 669 young airmen who lost their lives whilst serving at RAF Dunholme Lodge, a satellite station of RAF Scampton that was open from 1942 – 1945. 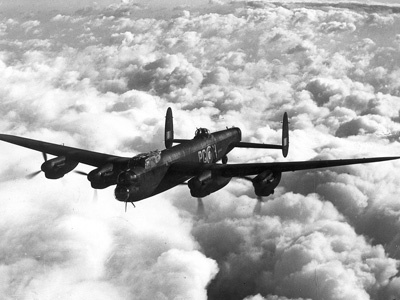 Three RAF Squadrons, 44 (Rhodesia), 170 and 619 were stationed at Dunholme Lodge, all flying Lancasters. The memorial consists of a wooden board made of birch on which is inscribed the history of the WW2 air base above the squadron crests. It is flanked by stone carvings of the badges of 44 Squadron and 619 Squadron carved by Frank Walshaw, who was a wireless operator with 619 Squadron. On either side of the carvings are artworks by Christine Strong and Vanessa Kelly that were inspired by the poem ‘In Flanders Fields’. Memorial, which is located on the Wykes� brother farm, on part of the former airfield. This memorial incorporates an aluminium propeller boss from the 619 Squadron Lancaster LL919, which crashed at Land�ville, France on April 27, 1944. Ends 677 words Association Contacts: John Whiteley [Secretary] Joe Dutton [Treasurer] 11 Clare Crescent Wallasey WIRRAL CH44 2DL Tel: 0151 638 6939 Canadian Branch George Hexter [Secretary] 1942 Royal Crescent London Ontario N5V 1N7 Canada Membership: Circa 100 members and associates around the world Subscriptions: �5 per annum What you get: A half yearly newsletter to keep you advised of Association activities and notification of reunions, lunches and events. 2008 Reunion, 18-19 April, 2008. 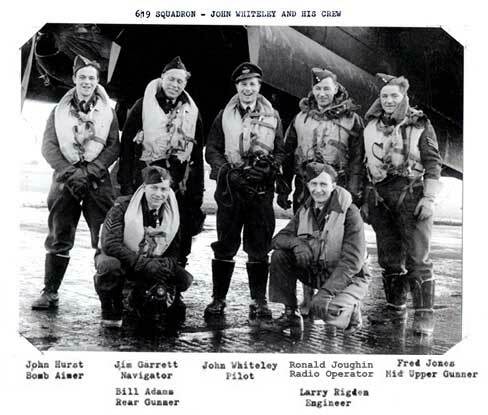 Association Aims: To allow members to meet old colleagues and their relatives, and people connected with 619 Squadron Group Photo: 619 Squadron Association members pictured from left to right: Sandy Sandison, John Bell, Freddie Thomas and John Whiteley.